Group News Blog: McCain Claims No Flip Flops; Think Progress Says Otherwise. 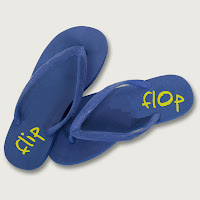 McCain Claims No Flip Flops; Think Progress Says Otherwise. John McCain, on his appearance on the The View, told the women there that he challenged them to point out even 1 issue where he flip flopped. CLIMATE CHANGE: In 1999, McCain opposed lifting the ban on offshore drilling, saying that it was just the "special interests in Washington" that advocated it. In 2008, McCain announced that "there are areas off our coasts that should be open to exploration and exploitation." SPENDING: The McCain campaign has said that it will balance the budget by the end of McCain's first time. But chief economic adviser Douglas Holtz-Eakin said McCain would balance the budget by the end of his second term. IRAQ CONDUCT: He said in 2004 that Donald Rumsfeld was doing "a fine job" and was "an honorable man." But by 2008, McCain was arguing that he was "the only one that said Rumsfeld had to go." TORTURE: In 2005, McCain pushed President Bush to sign a bill that would prohibit "cruel, inhuman or degrading treatment or punishment" of anyone in U.S. government custody. But in 2008, McCain voted against the Intelligence Authorization Bill, which requires the intelligence community to abide by the same standards as articulated in the Army Field Manual and bans waterboarding. Apparently McCain's visit on The View was nothing to be proud of. I hear the ladies did great work on him. Did anyone see it? What did you think?